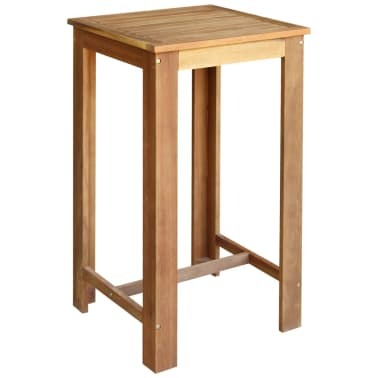 Crafted from solid acacia hardwood in a dark oil finish, both the table and the stools are sturdy and weatherproof. 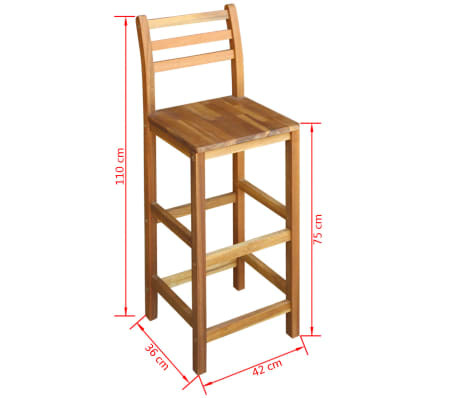 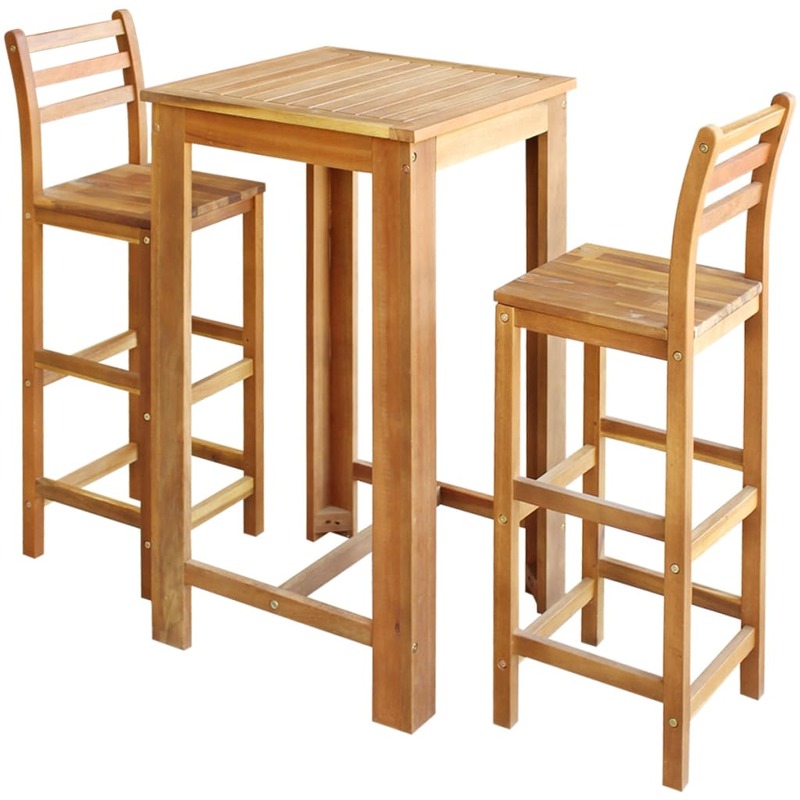 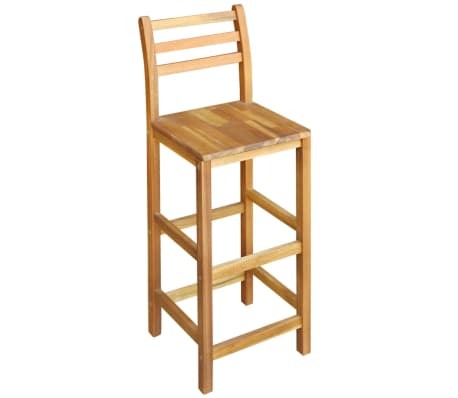 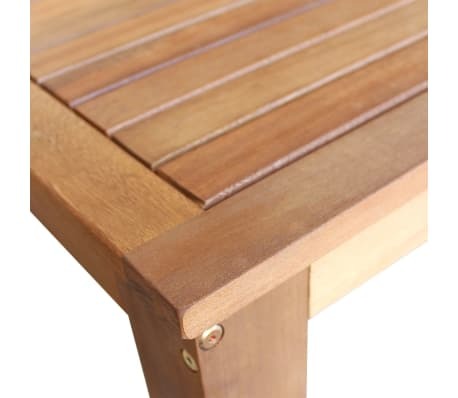 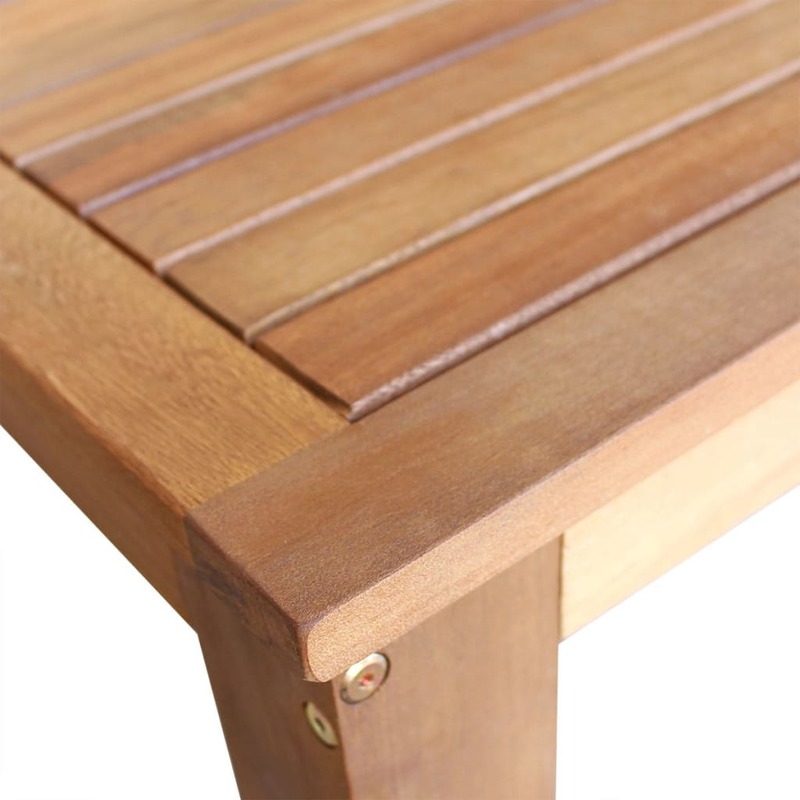 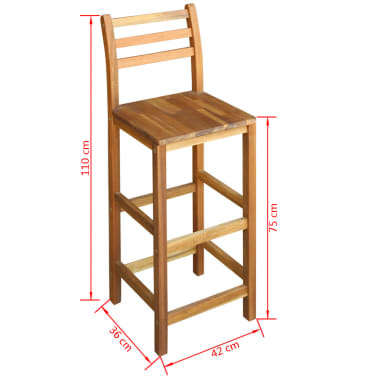 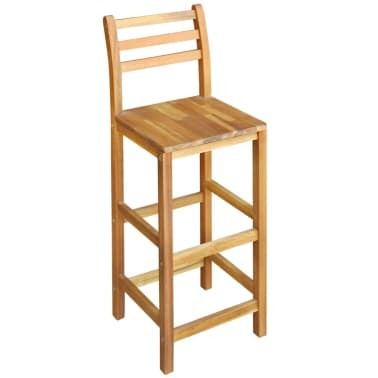 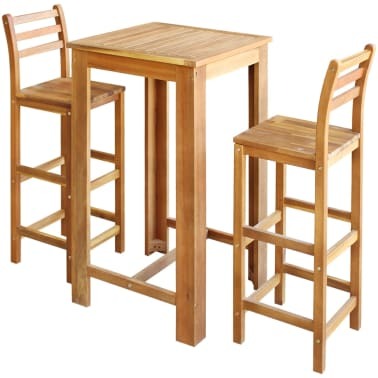 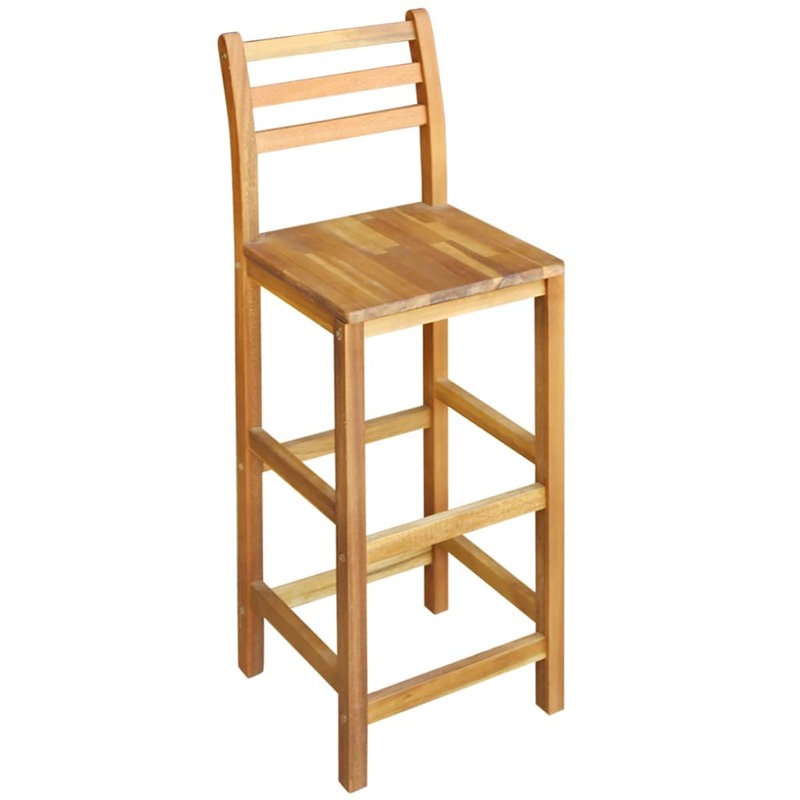 The wooden structure makes them very durable, and the foot- and backrests will allow you to sit comfortably on the stools. 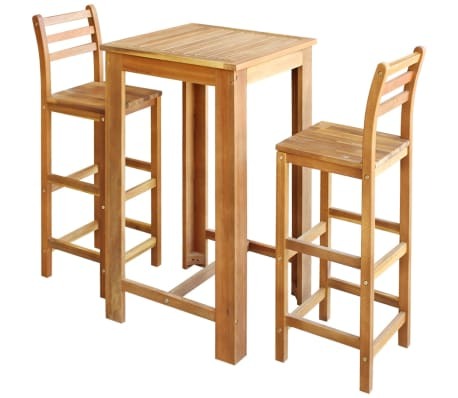 Delivery includes 1 table and 2 stools.